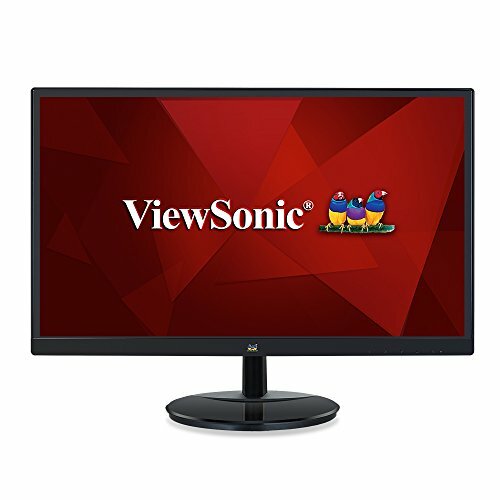 The ViewSonic VA2446mh-LED is a 24” (23.6” viewable) widescreen monitor with a LED backlight and a glossy, thin-bezel design ideal for use in the home or at the office. With Full HD 1920x1080 resolution and a 50M:1 MEGA Dynamic Contrast Ratio, the VA2446mh-LED delivers stunning brightness and contrast, while a quick 5ms response time ensures crisp pictures and smooth playback. As a complete multimedia package, the display also includes a pair of integrated speakers. VGA and HDMI inputs provide flexible and convenient connectivity, while a VESA-compatible mount offers additional flexibility. In addition, a 3-year limited warranty, along with one of the industry’s best pixel performance policies provides great value for the stylish, high-performance VA2446mh-LED display. 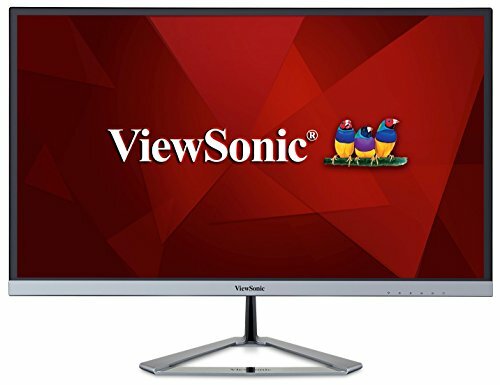 The ViewSonic VA2446m-LED is a 24" (23.6 Vis) widescreen monitor with an LED backlight and glossy, thin-bezel design ideal for use in the home or at the office. With Full HD 1920x1080 resolution and a 10M:1 dynamic contrast ratio, the VA2446m-LED delivers stunning brightness and contrast, while a quick 5ms response time ensures crisp pictures and smooth playback. As a complete multimedia package, the display also includes a pair of integrated speakers. VGA and DVI inputs provide flexible and convenient connectivity, while a VESA-mountable design offers additional mount flexibility. With an efficient LED backlight and energy-saving Eco mode, the VA2446m-LED is an environmentally friendly display choice. In addition, a 3-year warranty, along with one of the industry's best pixel performance policies provides great value for the stylish, high-performance VA2446m-LED display. The ViewSonic VA2246mh-LED is a 22” (21.5” viewable) widescreen monitor with a LED backlight and a glossy, thin-bezel design ideal for use in the home or at the office. With Full HD 1920x1080 resolution and a 50M:1 MEGA Dynamic Contrast Ratio, the VA2246mh-LED delivers stunning brightness and contrast, while a quick 5ms response time ensures crisp pictures and smooth playback. As a complete multimedia package, the display also includes a pair of integrated speakers. VGA and HDMI inputs provide flexible and convenient connectivity, while a VESA-compatible mount offers additional flexibility. With a LED backlight and energy-saving Eco-mode, the VA2246mh-LED is an environmentally friendly display choice. In addition, a 3-year limited warranty, along with one of the industry's best pixel performance policies, make the VA2246mh-LED a great value choice for corporate and educational use as well. 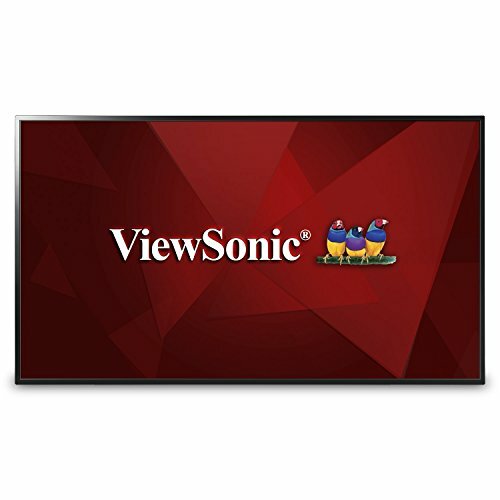 The ViewSonic CDE4803 is a great value, high performance 48'' Full HD LED commercial display for hotel, restaurant and hospitality environments. In addition to versatile connectivity options, including HDMI, VGA, and SPDIF, the display comes with a simple and convenient USB multimedia playback functionality. With 1920x1080 resolution, 350-nit brightness, wide viewing angles and dual 10W stereo speakers, the slim-bezel CDE4803 delivers vivid images and remarkable sound for superior multimedia performance. The HDMI CEC pass-through support provides one-touch-play, with additional features for multiple connected devices such as HD set-top-boxes, media players, and Blu-ray players. An RS232 port with IR pass-through provides automated control for hospitality installation. Creating a more comfortable viewing experience, the display is equipped with Flicker-Free and Blue Light Filter technologies. In addition, free-bundled vController software offers easy maintenance and intuitive interfaces for remote management via a PC server or laptop. 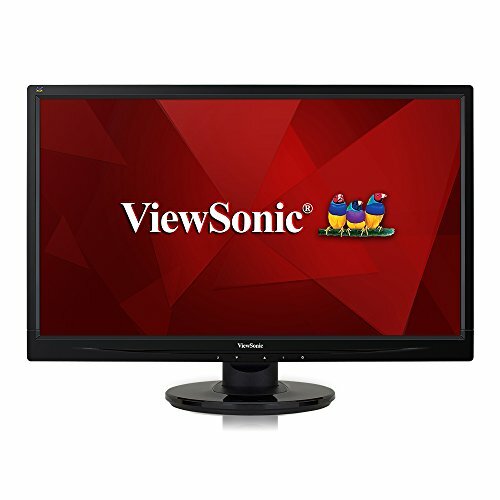 The ViewSonic VX2776-SMHD is a sleek 27” full HD monitor with a modern and minimalist style perfect for home use. With super clear IPS panel technology, this monitor offers best-in-class screen performance with ultra-wide viewing angles. A premium ID includes an ultra-slim profile, unique desktop stand, and a sleek Edge-to-Edge frameless design, that when combined with vivid 1920x1080 resolution and dual speakers, deliver an immersive viewing experience for home entertainment and multimedia applications. Hdmi, DisplayPort, and VGA inputs offer flexible connectivity options for both computing and gaming environments, while ViewSonic exclusive view mode feature provides intuitive presets for optimized screen performance in different applications. In addition, flicker-free technology and a blue light filter help to minimize eye strain from extended viewing periods. 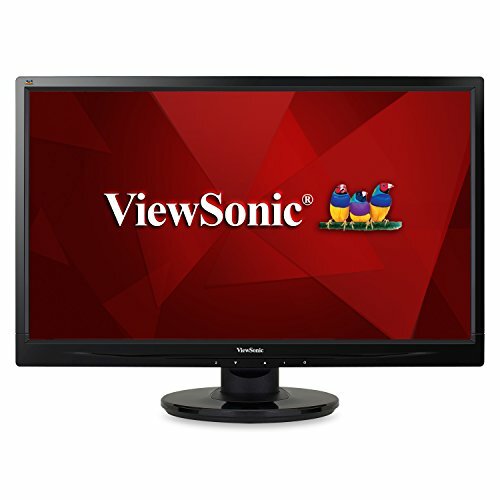 With ViewSonic industry-leading 3-year limited warranty, this monitor is a solid long-term investment that combines style and high performance for the home. 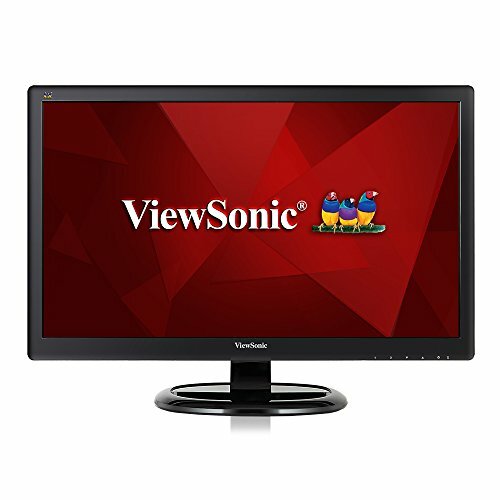 Compare prices on Viewsonic Led 1080p at ShoppinGent.com – use promo codes and coupons for best offers and deals. Start smart buying with ShoppinGent.com right now and choose your golden price on every purchase.